Time to spatchcock. Ugh, why is it called that? Can’t we all agree that it sounds much better as butterflied chicken? 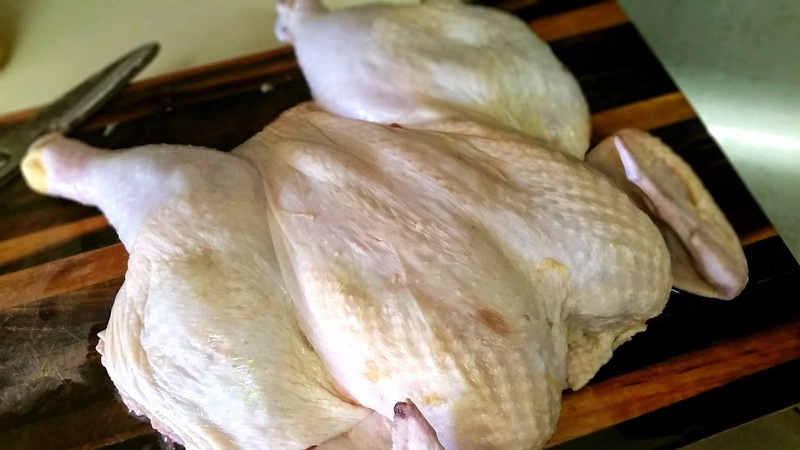 It’s an alternative preparation for a bird — rather than whole, you remove the backbone and flatten. Why spatchcock? A moist chicken… with the endless crispy exterior… in less than an hour! And, for those benefits, I don’t mind giving up the presentation of the classic roasted tied bird on a platter. 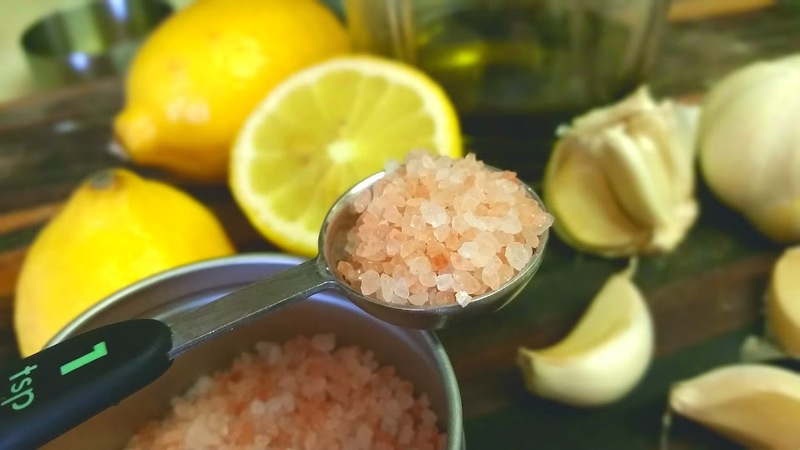 I am marinating with a classic lemon, olive oil and oregano but with the addition of my pink Himalayan salt. In a small food processor, combine oregano, lemon juice, garlic, olive oil, salt and pulse to combine. 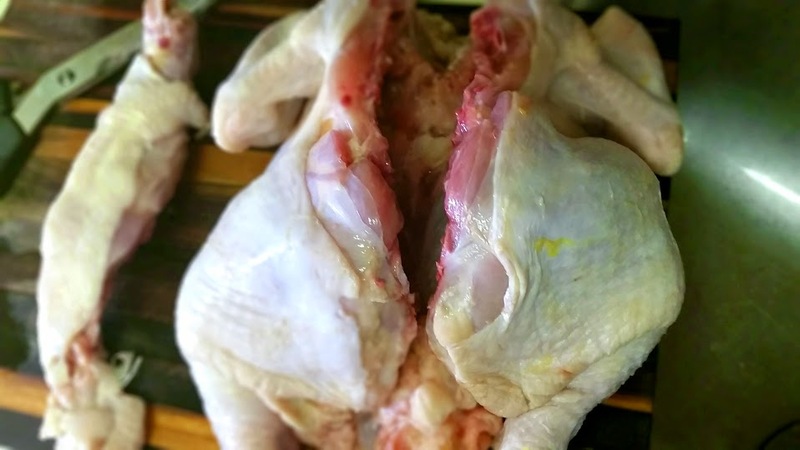 Spatchcock your whole chicken — remove the backbone. See video here. 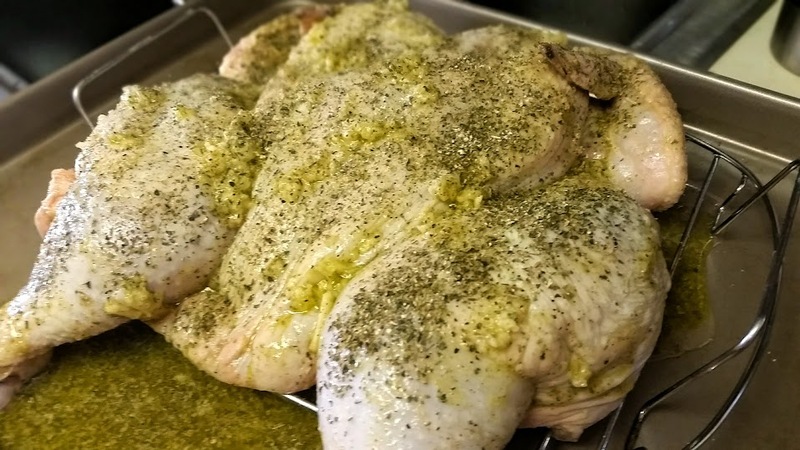 Using your hands, rub marinade over chicken. Gently lift the skin and rub directly onto the breast. 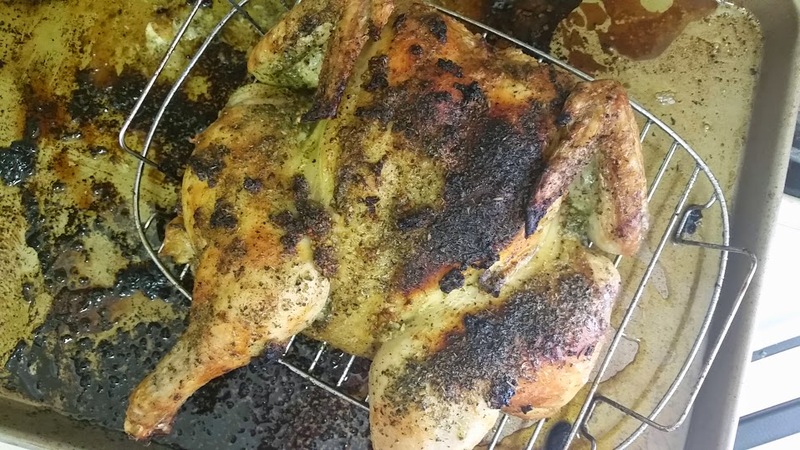 Place chicken in roasting pan with rack, breast side up and place in oven. 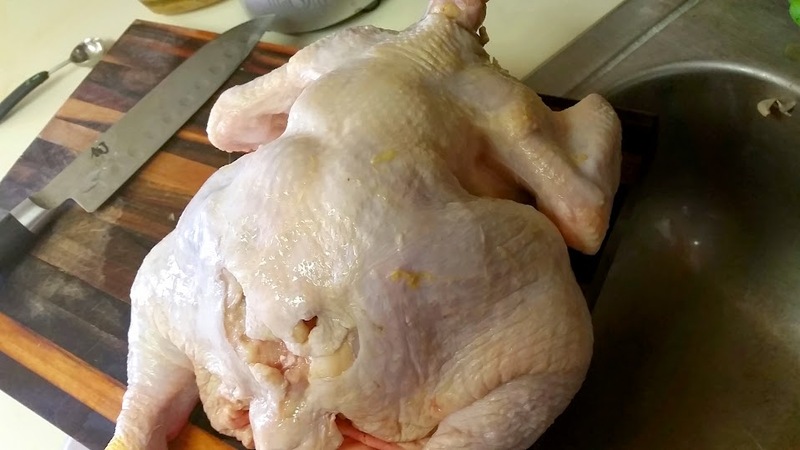 Remove from oven, baste in marinade, and let stand 10 minutes in juices before serving.